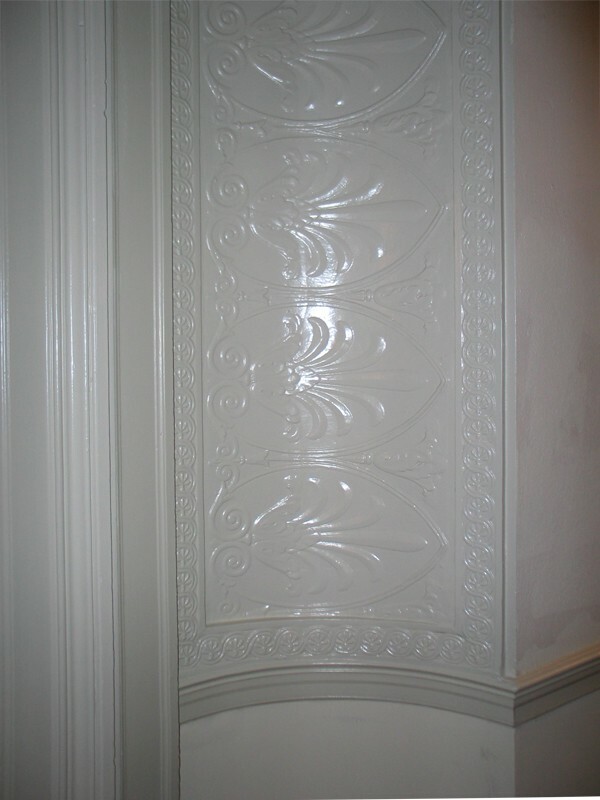 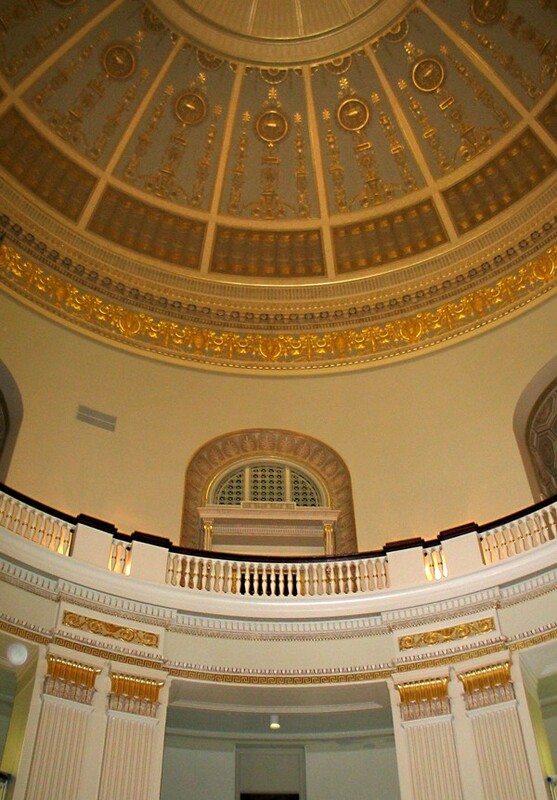 CSS restored the lower Dallas Hall Rotunda, as well as its first, second and third floors and the historic dome. 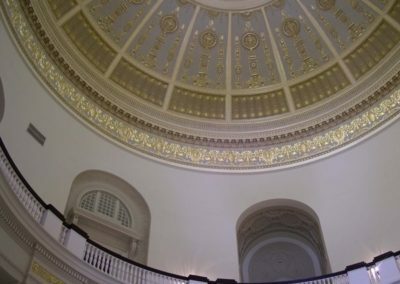 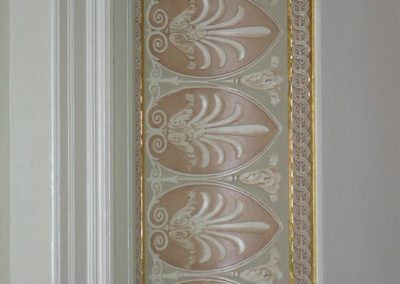 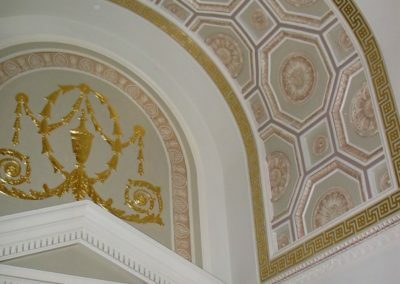 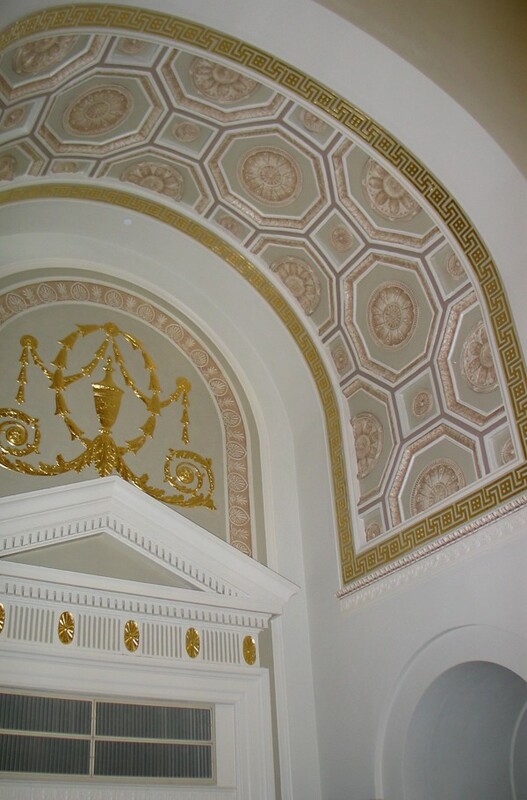 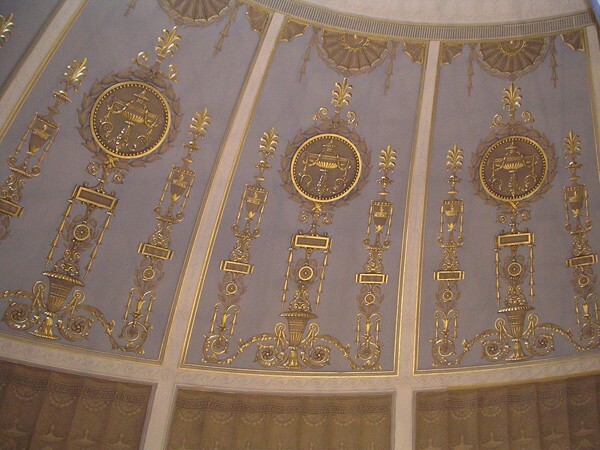 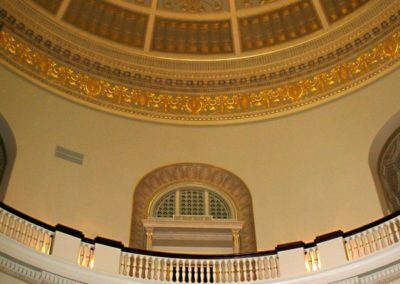 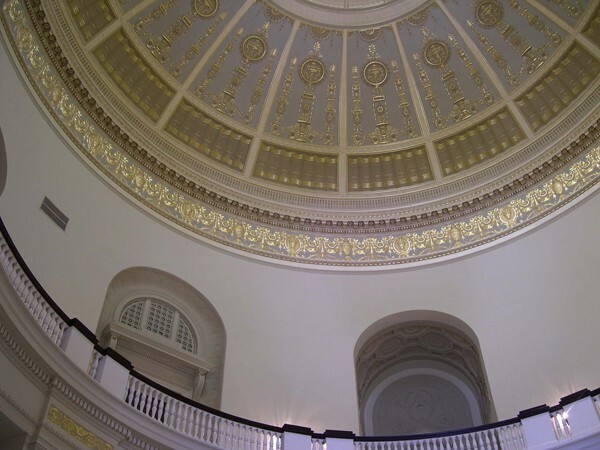 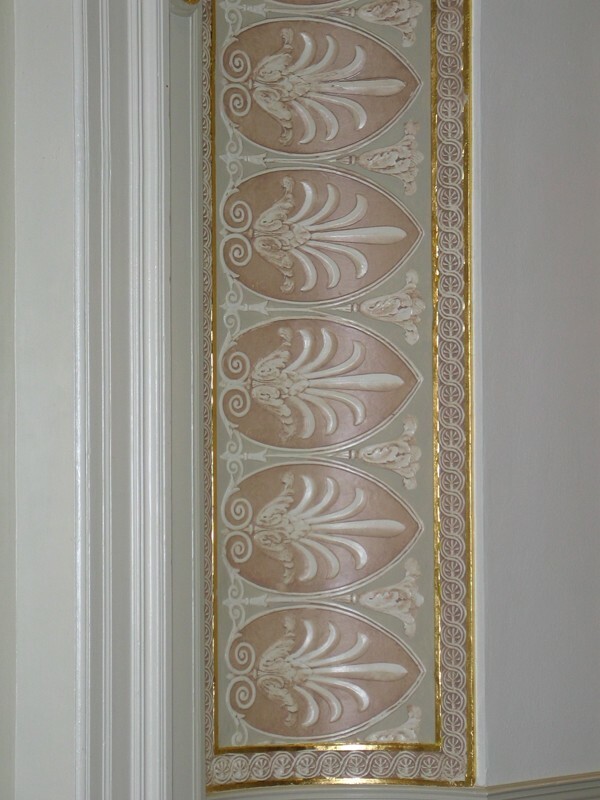 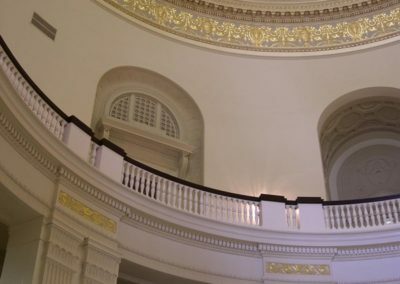 Following a historic paint investigation, CSS washed, patched, primed and painted the rotunda in eight progressive colors and gilded decorative areas. 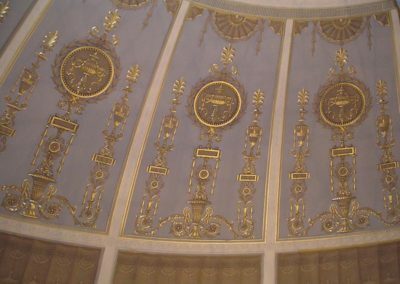 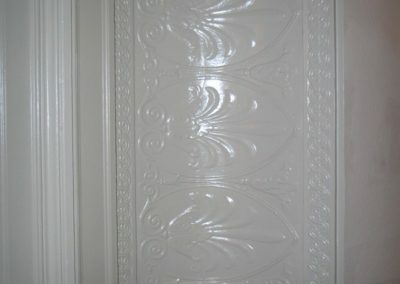 The stained glass skylight was removed and transported to the Conrad Schmitt Studios to be documented, cleaned and restored. 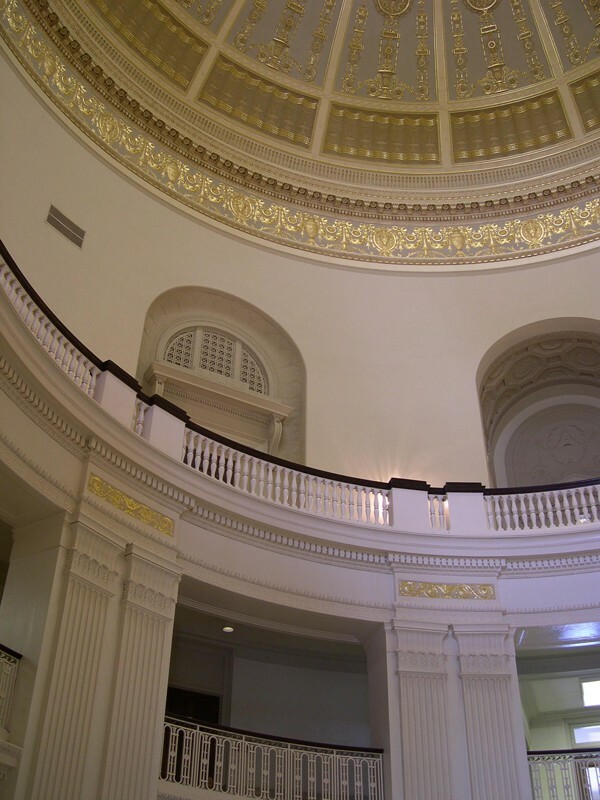 The restored rotunda and dome is an area of historical pride for Southern Methodist University.